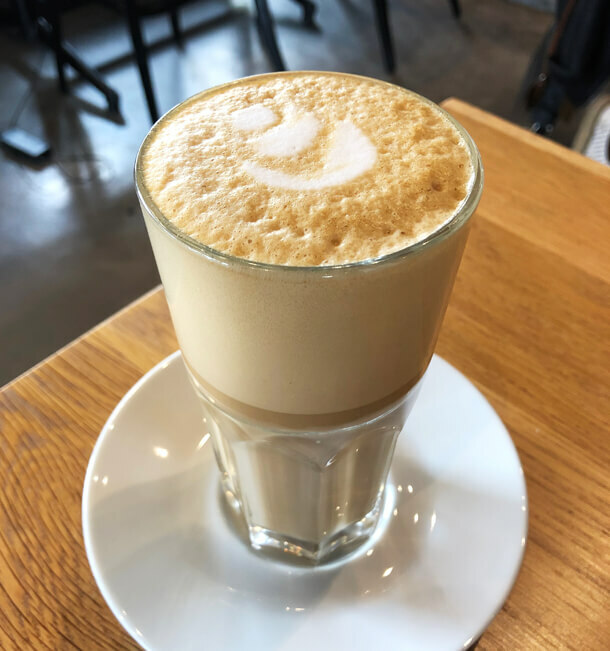 If you know your espresso from your cortado, or your macchiato from your flat white then you’re likely a coffee afficianado or coffee snob like me. 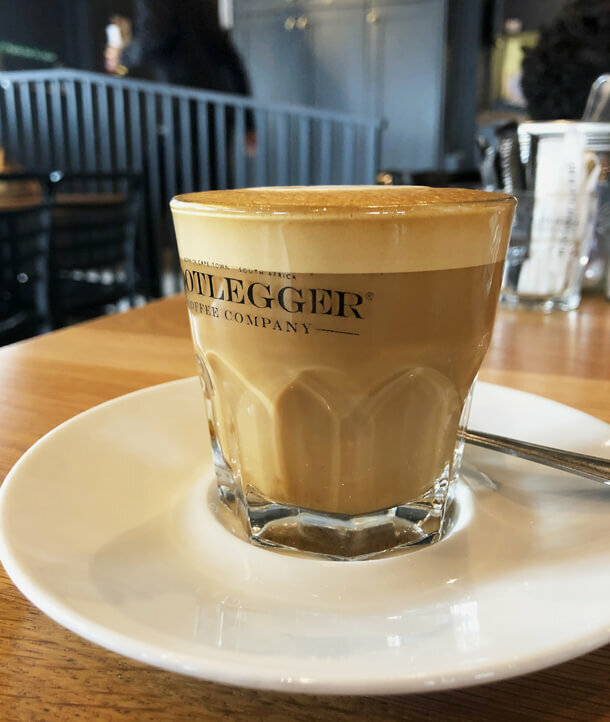 Bootlegger Coffee Company has long since been the go to place for those who won’t settle for mediocre coffee. 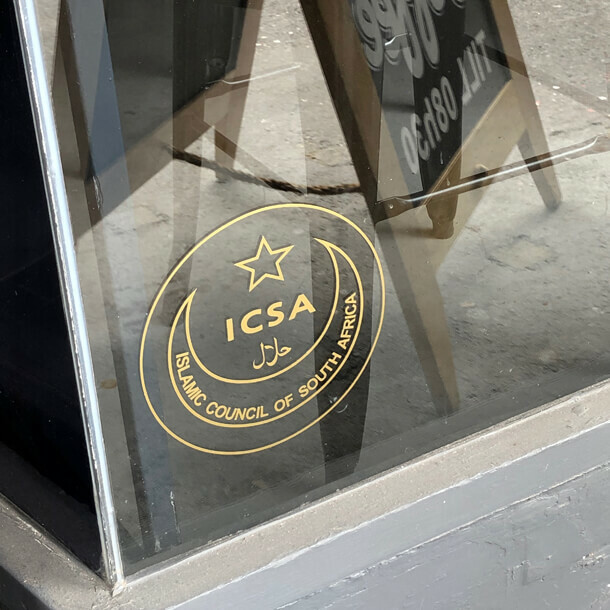 Now we’ll also be able to enjoy their fully halaal coffee shop menu at their Three Anchor Bay store which has been converted into an ICSA certified halaal store. The store is located right at the beginning of the busy Sea Point Main Road opposite the Life Church. We popped in on a week day in December last year and they were full inside. It’s not a very big venue so it would easily fill up. Quite a few people were there with laptops so I reckon people stick around and use it as a remote office of sorts. It was a little windy outside so I wasn’t too keen to take an outside table though on a sunny day these would be great. We were three people and one or two 4-seater tables were occupied by only two people. Our waitress gently asked one of them if she could move them to a 2-seater and the swop was easily made. 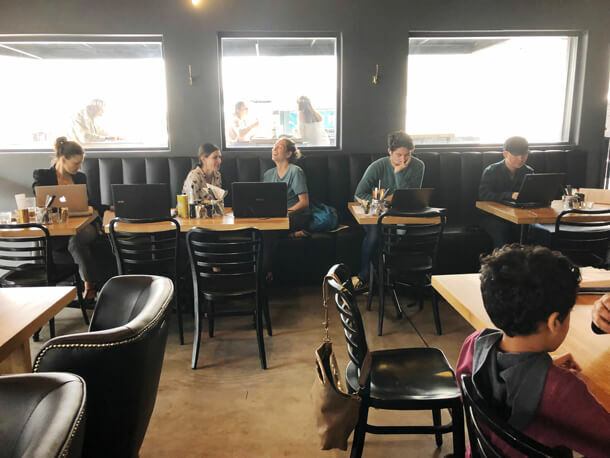 The Bootlegger vibe is a cross between classic, dark woody coffee lounge and trendy yuppy hangout. It’s for serious coffee drinkers. They use select beans from Guatamala and Costa Rica and there own specific roasting method. The blend displays hints of toasted hazelnut, caramel and a subtle touch of dark chocolate. The beans are roasted fresh everyday and the coffee served in a glass. The menu is larger than expected. The coffee menu includes milkshakes, juices and tea and other speciality drinks. 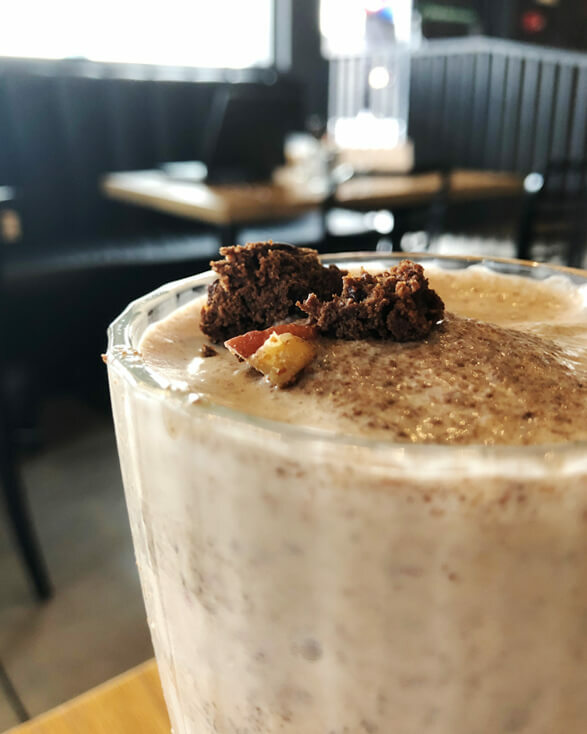 The food menu comprises no less than 23 breakfast dishes, and that’s besides the DIY breakfast section, burgers, salads, bowls, sandwiches and cafe main meals. 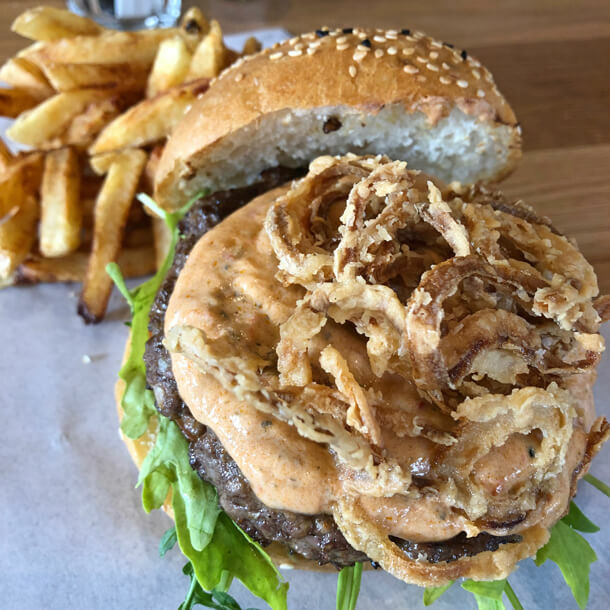 I chose the Harissa Lamb Burger which was served on a bed of Rocket and topped with crispy onion rings. This was tasty and the harissa sauce was delicious. The onion rings and chips were perfectly done. 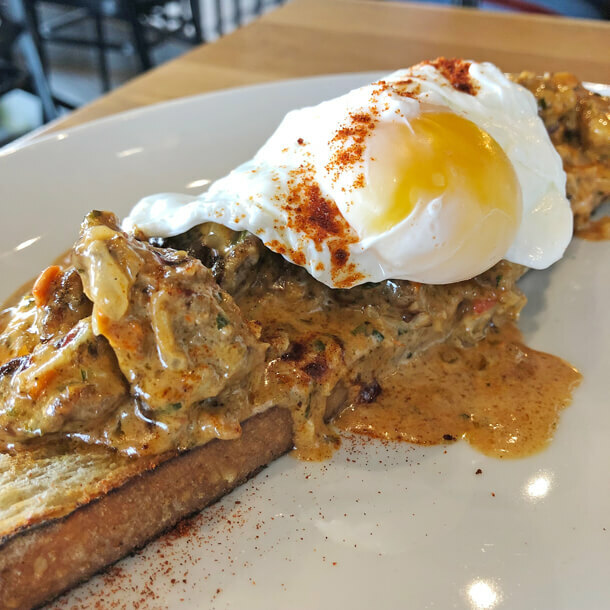 We also tried the Chicken livers peri peri which is served on buttered ciabatta and topped with a poached egg. This creamy Portuguese style dish was tangy and yummy. I’m not one for livers but the sauce was good. Taufeeq decided he was not into actual food that day and insisted on having pancakes for lunch. 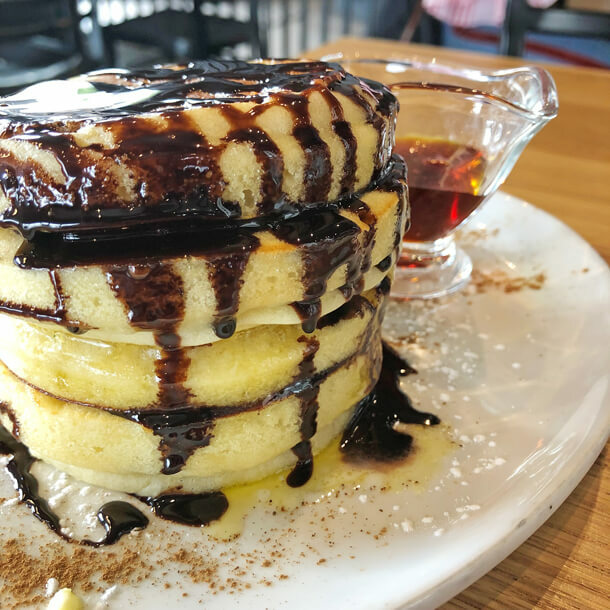 His stack of pancakes were generous and served with chocolate sauce and maple syrup. This was not a menu item but when he turned up his nose at a muffin, scone or banana bread the waiter told me they can also do pancakes. It was a total winner. The pancakes were thick and fluffy and just what a six year old wants for lunch. The burger is a bit on the expensive side at R119. The cafe main meals average about R80. Breakfast starts from R59 for Hummus toast to R99 for the The BootEgger breakfast to R115 for the new Açaí Bowl with açaíberries, strawberries, blueberries, banana, apple, chia and almond milk. Suffice it to say traditional tastes as well as health fundis are all catered for. 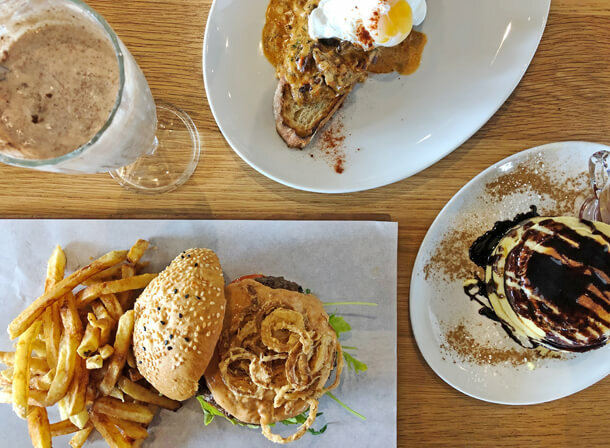 They didn’t have a kids menu and though you don’t think of Bootlegger as a family hangout they will need to consider adding more kid friendly options in their halaal stores as Muslim people tend to eat out as families. I’m really looking forward to seeing more halaal branches popping up soon. My friends and I went on 2 January and were bitterly disappointed. We had to find our own table, waiters were dismissive and not very attentive. We waited very long for our food to arrive, and when it did, the portions were very small. We brought it to management attention, but were dismissed as being the day after New year so staff were “babelas” etc. 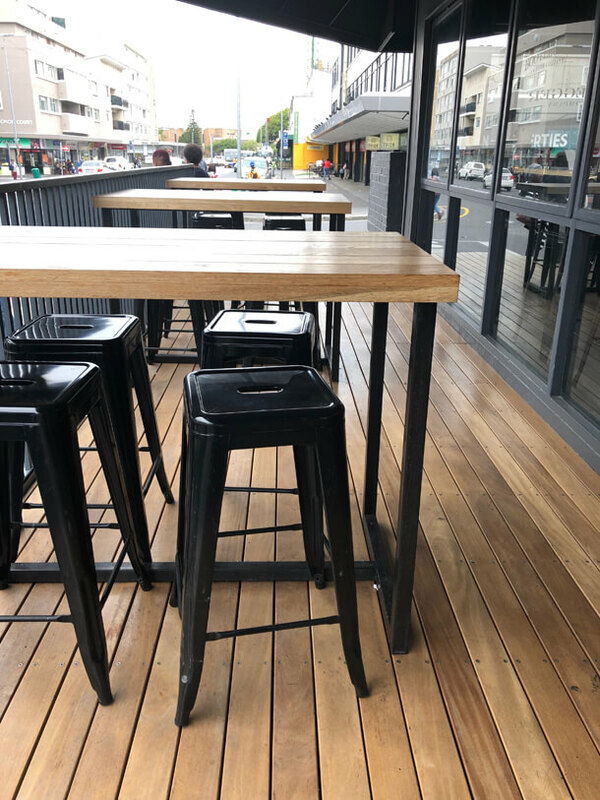 Furthermore, for a halaal eatery, they allow patrons to bring their dogs inside, I don’t think this decision could have been very well thought through. Sorry to say, but they won’t see me or my friends again. Experience the dogs coming into this halaal eatery this morning. It was pretty much disgusting as the bigger dog jumped onto a customer while eating and licked her plated/food. We ate asap and left. Did not enjoy the food today as we were more freaked out if the dogs were going to jump onto us next. When the group with the second smaller dog entered, the two dogs started playing inside and jumping around. Not on for a fully halaal establishment. Spoke to the floor manager Jabbir. He said his hands are tied as owner allows pets inside and this is apparently bootlegger policy for pets to be inside as well. Have enailed hungryforhalaal and ICSA to look into this. Will not return unless this pet policy is revoked. Dogs playing or licking our food makes it inedible/non halaal.